The King William IV is a classic pub that was originally a brewery. It was built back in the 1880s and their function room is still called the Old Brewery. 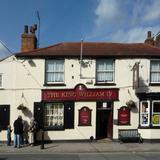 They specialise in hand pulled ales and change their guest ales every two weeks. Other hot and cold beverages are also available along with a variety of meals and daily specials. 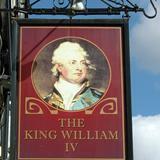 Do you work at King William IV? They have a beer garden and a covered somking area. CAMRA 2008 Continuing commitment to real ale. 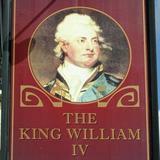 What did you think of King William IV? I wouldn't recommend holding any party or function here the landlord was extremely arrogant and we found the pub to be old fashioned dirty and tatty also don't wear heels the floor is so uneven u can easily fall over the atmosphere in there was dark and dull just like the landlord . Faboulous food in tradional pub, the pub is haunted and holds regular psychic nights and spooky events,check out October 24th for the next event.